OpenCart is an advanced and bizarre open source e-commerce store management system which is written in PHP using a MySQL database and HTML components. It helps to make the interaction easy for merchants and customers. And it’s easy to use and famous for the reliable solution. 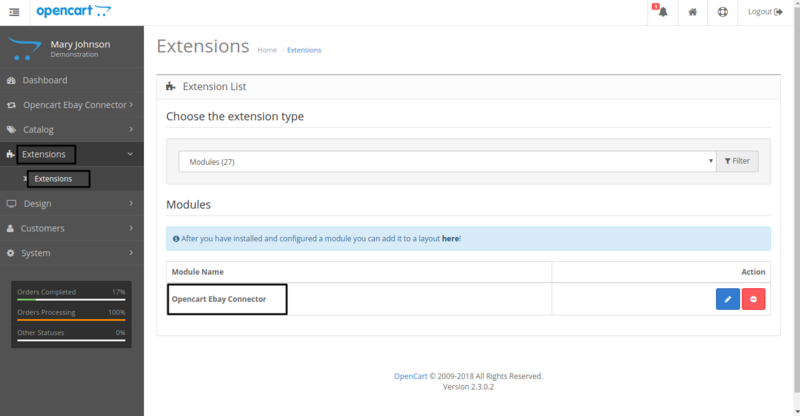 Planty of extensions and modules are available to make your task easier on OpenCart. It allows using the ready-made template for your store and also easy to translate into other languages and also the treasure of enough qualitative documentation, forums, and articles. It’s getting noted day by day among the merchants due to its extraordinary functionality to build and manage the e-commerce store easily. With the help of available connectors and module, you can easily sell on multiple marketplaces like eBay, Amazon, Flipkart, Etsy, Wish, Reverb, Mercadolibre and etc. eBay is an immeasurable multinational e-commerce company which allows B2B and B2C selling through its website. Using Opencart eBay connector you can integrate your eBay store with Opencart store and can import products, categories, and orders from eBay to Opencart. The eBay connector even allows you to export products from Opencart to eBay. Add, edit and manage multiple eBay accounts for mapping products, categories, and orders. Provide additional information for the exported products such as – eBay specification, conditions, shipping, tax, return policy, dispatch time, listing details. Supports mapping of products having multiple options/variations such as colors, sizes etc. Real-time update for exported product’s name, price, description, quantity, conditions, variations in eBay. When an exported product becomes unlisted on eBay, then you can relist the same from Opencart. Amazon is legendary e-commerce and cloud computing company based in Seattle, Washington. As we all are aware of Amazon’s credit, selling on it will enhance the value of your store. Opencart Amazon Connector integrates Amazon store with Opencart store. With the help of this extension, the store owner can import products, orders, and customers from Amazon to Opencart. The extension also enables the store owner to export its products from Opencart to Amazon. Opencart Amazon Connector performs real-time updates of synchronized products price and quantity on Amazon store. Flipkart is an eminent marketplace and extensive website. Which allows the seller to sell their diverse product on this well-known marketplace once they have registered. It’s also promoting small and big sellers to sell their product on a big online shopping plaza. Now you can connect you Opencart Store with India’s biggest online store. The Opencart Flipkart Connector allows you to connect with the Flipkart store. With the help of this amazing extension, the admin can easily list the products from their Opencart store to the Flipkart Store. In addition to this, the extension also facilitates the Opencart admin to manage the orders generated from the Flipkart. The whole process drafted out above was when you are connecting your store with Opencart but now I am going to suggest you the way to sell on multiple marketplaces using Opencart. The secret behind the growth and success of e-commerce business is omnichannel selling. Multi-channel selling is a good strategy in order to maintain business consistency. Nowadays it’s very common and the seller has opted this as a strategy to build a strong brand for generating more revenue. It is boon for businesses having no physical shops and operating in the virtual world as multi-merchant online platforms. If you sell your product in more than one location, it can be brick and mortar store. eBay, Amazon, Flipkart and many other marketplaces make you multi-seller. Most retailers are inherently multichannel merchants so as to present the same product from different places. Profit enhancement is also achieved with more number of channels and this occurs due to wide verity available at various channels. Retailers can set up their website on e-commerce platforms only for managing the inventory which they get from the suppliers. Using various connectors available in the market for the e-commerce platform, they can connect their stores with multiple marketplaces Amazon, eBay, Etsy, Flipkart etc to sell their product. 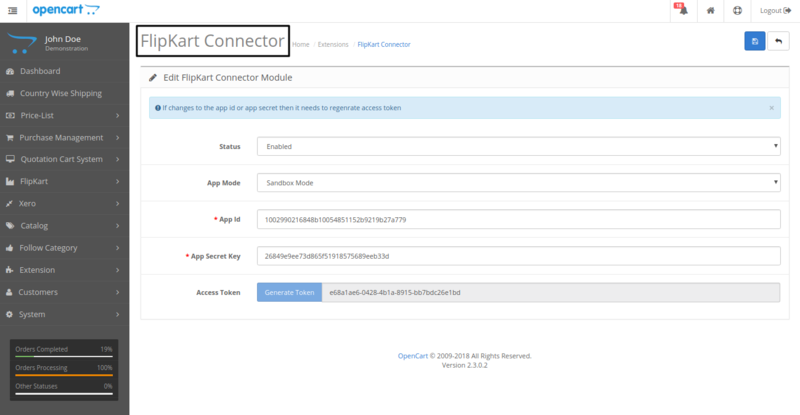 OpenCart Akeneo Connector allows you connect your OpenCart webstore with Akeneo PIM platform. 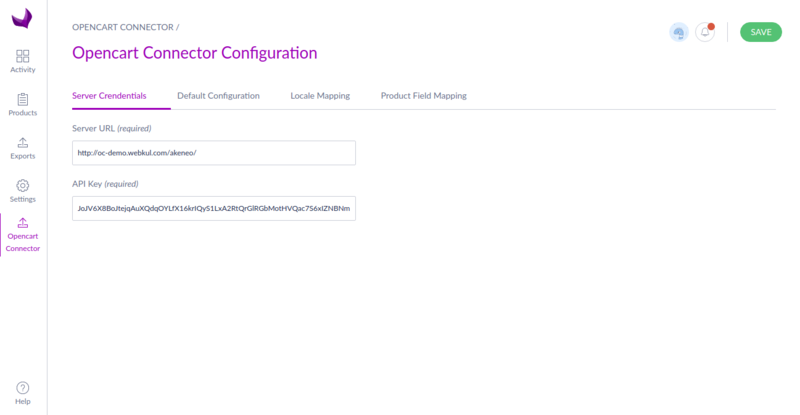 Using this integration, you can export products, categories, attributes (including values), attribute groups, and product images from Akeneo to OpenCart store. Whether you are a multinational corporation or local SME, whether you have made your name is a market or still in a bootstrap mode, customer engagement and support are key to thrive in this cutthroat environment. As long as you remain connected with your customers either socially or digitally, recognizing and solving the pain points of customers will continue to boost your business. Enterprises ought to focus more on providing better customer support to their existing product instead of investing more on creating new divisions. Being an online merchant at any e-commerce platform you will start getting customers on your store, at the initial stage, it would be fine for you to manage your customers. But the strength of your customers grows as per the growth of your business then it wouldn’t be easy for you to manage your customers and solving their raised concern. UVdesk- Opencart Free Helpdesk Ticket System you can integrate the UVdesk with your Opencart Store which allows your buyers visiting your eCommerce store raise a ticket for their concern like a help desk system, and you can send them replies for the same and much more. Customers are the key to thrive in any business so right time follow up and solving their raised concern can be the biggest marketing point to get positive reviews which will build trust to the coming new eyes. Your satisfied customers can get you referrals. Managing 1000’s of Emails, Facebook, Twitter, YouTube, Slack, Disqus comments/feeds/tweets, Customer’s Order Details, Query, Feedback, Attachments, Typing the same reply, multiple times, Perform few task after every certain amount repetitively will definitely be hectic for you. Bunch of Helpdesk Systems are available you can select one of your own choices and you can integrate your store with the helpdesk with the help of quick instruction given on that. UVdesk is an e-commerce helpdesk with multi-channel and multilingual support and a wide array of features to help you provide quick & reliable customer support. It provides integrations for the e-commerce retailers/sellers and provides third-party integrations also. 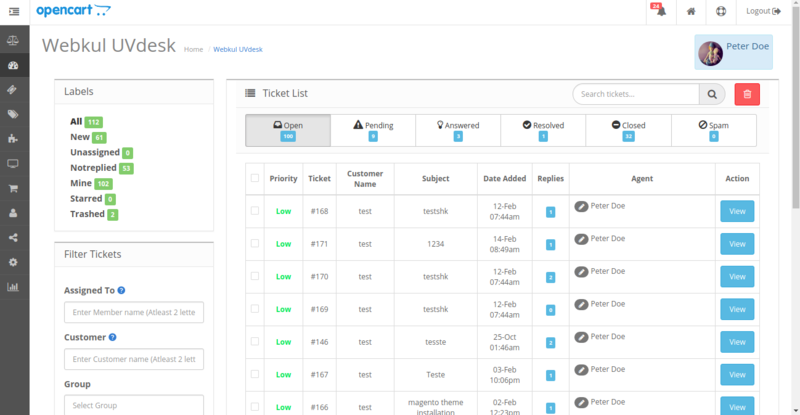 With the help of UVdesk Mailbox, you can configure your customer support email id then every email coming to your configured customer support email id will convert into the ticket which ensures you that you will never miss out any single lead ticket will remain open until you have not submitted the reply. With the help of UVdesk, the query raised by your customer which are coming from different channels will convert into the ticket if that channel has been integrated with UVdesk. Using Form Builder App of UVdesk you can create any kind of form suiting to your business requirement and after creating the form you will get embed code which you can paste anywhere of your online site. Now every entry on the form will convert into the UVdesk ticket.